Board index » Need Help? Let us know below! » Help for Players and sites! Is it me only, or has anyone else noticed that online bingo is changing with todays economy? I mean it seems it is getting harder now to accumulate enough wins to cashout and the slots don't pay anymore, I think bingo sites are manipulating there slots and bingo software in their favor. The most important thing, in my opinion, is to trust the site you play at. There are many shady sites who do use any trick in the book. But there are also ones who bend over backwards for their players and go above and beyond to treat them right. They are not all bad... anymore than they are all good. Trust your site and the operator who runs it. Read and understand the rules. It is not all about just signing up, depositing and playing for those who have become savvy players. It is up to us to help those who are as of yet unaware of the "hidden factors" at any site. I agree with you that the economy is bad, especially at my house, lol, but for some the economy does not affect them as they have no financial worries. As far as I can see, bingo .. in a paying to play sense, has not changed with the economical trials. But then I have a more in depth view than many do. Well bingoplayer I have not taken any surveys to determine how many online bingo players are debt free and in the dough, but I do know that most lottery tickets (gambling) are bought by lower middle class and poverty level people. Thousands and thousands of dollars every week. When I see someone tossing money into online bingo games like there is no tomorrow, I do not assume they are wealthy no more than I assume that people with 10 credit cards and and a bmw have no financial problems. across the seas. Hard to tell one from the other on the internet as long as they both are spending, but that is a great attraction for many..anonymity and privacy. 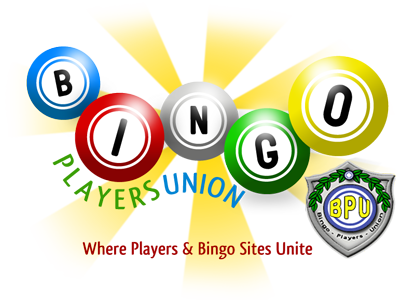 Online bingo is here to stay so if you want to join in get informed,read all the rules, and if you dont like something about any site..move on.Competition is high and there are many sites to choose from. One thing I've noticed mostly over the last year or year and a half as the USA layoffs became more prominent and homes have been foreclosed on so quickly is massive numbers is the actual number of players at sites and the amounts of the pots themselves. Both have dropped considerably compared to two years ago. 2. Loss of internet ability due to people not being able to afford that fee each month and seeing it as a luxury now. 3. Loss of computer itself since it's either turned off from the internet or sold outright. 4. People choosing which nights/days or special events to play by printing the schedules more often. 6. Sites manipulating the pay scale downward per game more heavily handed vs the cost of the games to the player. 7. Players who can afford to play becoming more savvy about online bingo itself and becoming pickier about where they will play and when. 8. More sites are playing 'fixed pots' games regularly so profits are higher because the average number of players for those games increases. 9. Many players have gone back to 'basics' of playing at mortar and bricks bingo halls locally because the cost is so much less.